Alyson kindly agreed to be interviewed for out blog. Learn more about her work and what inspires her. Hi Alyson, Thank you for taking the time to answer a few questions about your practice as a mosaic artist. Can you tell me something about more about Mosaic as an art form? "It's a great question as some would classify it more of a craft than an art. Mosaic draws inspiration from various arts - in particular painting with the reproduction of the visual form. As you've said Mosaic art has been around for centuries and mosaic is enjoying somewhat of a resurgence in the 21st century. Modern mosaic artists are exploring the textures and range of materials with many engaging in 3D design. I love the diversity of the art as it can range from the very formal, picturesque pieces to the total abstract incorporating so many different objects. " 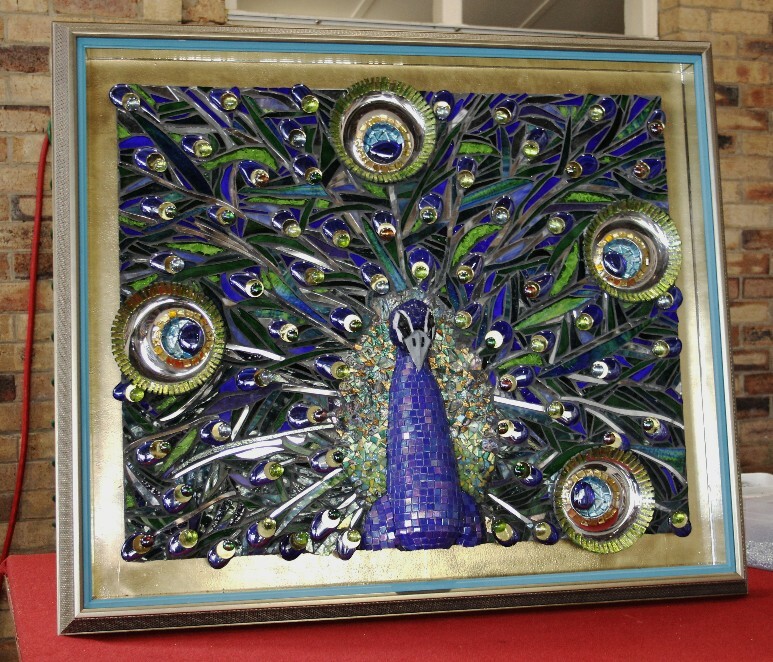 Are there any mosaic artists who particularly influence you? "I wouldn't say influence but I do love the works of Martin Cheek, Solange Pfeiffer and our own Marian Shapiro. Martin Cheek uses a lot of glass fusion in his work and I love the way Solange Pfeiffer can render such amazing expressive pieces through her unique approach to cutting and placement. " Can you tell me a little about why you were initially drawn to this medium? "I have always been creative and artistic. The funny thing was I was drawn to this medium as a type of therapy. My sister and brother in law bought me a mosaic kit in my mid 30's and I loved smashing the tiles and creating a new art form. The combination of the physicality of the art and the seemingly limitless applications makes it a really attractive artform. It has become my 'go to Therapy' when I'm feeling stressed in other parts of life." "I taught myself from purchasing a range of books and reading and researching the various techniques, tesserae (including glass, tile, ceramic tile, pebbles, smalti for example) and generally finding inspiration in the world around me. I've joined several online blogs and facebook pages and I find people are really willing to share their experiences. It is an artform that continues to develop and mosaic artists are always willing to learn from each other. I can draw and love the sense of movement one can achieve in mosaics so this adds to its wonder. " "I am inspired by structure - I love incorporating 3 dimensional components into my work. I can also be inspired by an object which may have been tossed aside (eg. an old hat) and how I might use it as a basis for a mosaic piece. I'm also inspired by different mosaic techniques - I have not yet completed a full pebble piece and this appeals to me - both in terms of the medium and how the tessarae would be laid. Colour is also a great inspiration - I find myself looking at nature and sometimes reflecting on how a particular element might be translated into mosaic. " "I find it really soothing - I can lose myself for hours planning a piece or drawing and creating the mosaic. I also love sharing my passion with others." "I would have to say that "My Burb" continues to be my favourite piece - it was a real challenge and I feel I captured the feel of some of the older homes in my suburb. I also enjoyed using a range of textures in the piece - the final 'touch being the installation of a street light (which does turn on and off)." Do you have an ‘ultimate mosaic’ dream? Something you are dying to make, someday? "I do - I have a goal to travel to Ravenna (in Italy) and learn from one of the Master Mosaic artists there. " Do you see framing mosaics as important? Have you always framed your work? "I haven't always framed my work but I do think that framing adds that finishing touch to my work . The mosaic may not be very tidy around the edges and framing it gives it that polished complete look. I'm so happy I've decided to frame my latest pieces. I'm really looking forward to framing my Geisha as Erin has already had some great ideas." What do you think is important to consider when framing mosaics? "I think it's really important that the frame complements the piece - it has to be of similar style and not detract from the piece. Ideally you want the frame to complete the work not compete with the mosaic if that makes sense. I have found that Erin works so well with the piece that it is just seamless." Can you tell me about the classes you run? "I have run classes over the past few years - usually on demand when someone expresses an interest in learning. I generally hold 2 beginners workshops which introduce students to the basic technique of cutting and gives an overview of the types of substrates, tools and adhesives. I also have an informal group which meet and share ideas and thoughts while working on our mosaics in my back yard. It's so relaxing and time just slips by." "I am a formally trained teacher so yes I do love sharing knowledge - especially when others are as passionate about the subject." How many students do you have at one time? "I find 6 - 8 is the best size - any larger and you aren't able to devote enough time to each students." How many lessons do they take and how much do they cost? 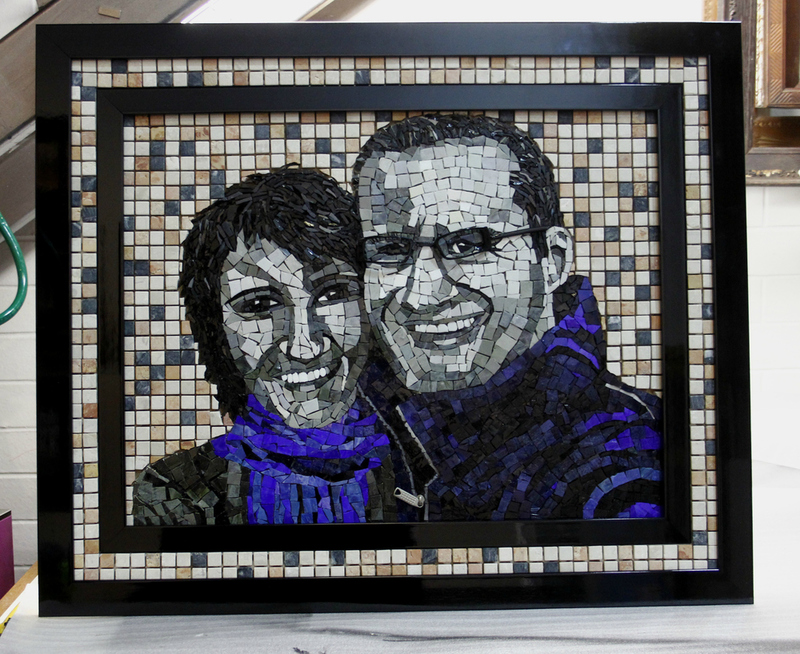 "Lessons are 2 X 2 hours and cost $160 (which includes the materials you use to create your own mosaic)." Do you have a website or a link you can share? "My website is mosaicrazy - https://www.mosaicrazy.com/ - if people are interested in getting a group together, just contact me via my website. Many thanks for your time and for sharing your story with us.